Test equipment requires annual calibration to improve the reliability of measurements. We calibrate test equipment in authorized Fluke calibration laboratories which are located in Holland and England. Besides the calibration, the equipment is updated with the latest software and firmware version. Only certified service providers can do these updates. In case of malfunction, we always provide estimated costs based on the fault. Usually repair is the most cost-efficient way to maintain the equipment if product support is still available. During the repair, calibration is always performed. Following the manufacturer’s instructions considering calibration period, your measurement will provide reliable results. Can’t find your equipment on the list? 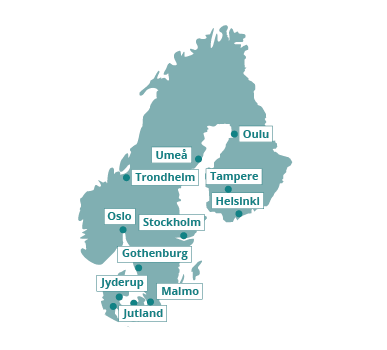 Please contact your local Nordic Service Group office for more information.